Despite training as a journalist, Talli soon found she preferred making up her own stories--complete with happy endings. Talli's debut novel The Hating Game was short-listed for Best Romantic Read at the UK's Festival of Romance, while her second, Watching Willow Watts, was selected as an Amazon Customer Favourite. Her novels have also been chosen as top books of the year by industry review websites and have been bestsellers in Britain and the United States. 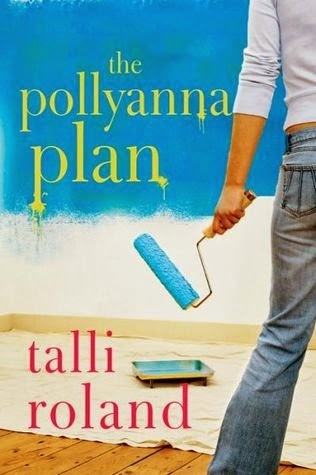 To learn more about Talli, go to www.talliroland.com or follow Talli on Twitter: @talliroland. Talli blogs at talliroland.blogspot.com. Chips, chips, chips! Especially with added salt and vinegar. Yum. Definitely Carrie Bradshaw. I love her quirky style and optimism. Wine. I do like vodka, but it’s more of a party drink. I love relaxing in the evenings with a glass of red. Spa vacation all the way. I loathe the discomfort of camping! Sleeping bags make me shudder. Water. I grew up by the ocean, and I love the sound of waves breaking on the shore. Vampires. Vampires have class, while zombies are disgustingly messy. I love both, but cats are more independent than dogs and less needy, and that appeals. Coke. I find it less sweet than Pepsi and it has a bit more bite. Ooh, it has to be coffee. When I need a strong hit of caffeine, it’s where I turn first. Definitely dine out! It’s hard to get out at night when you have a baby, and I’d relish glamming up and hitting the town. Hmm. Can I say just ‘flats’? High heels make me curse, sneakers are for running, and flip flops on grimy London streets? I don’t think so. Flats are the perfect compromise: comfy yet still a little stylish. I like both, but I have to say ebook. I love being able to purchase a new novel from the bath. Paperback. Less cumbersome and much lighter! Pen. The scratchiness of a pencil annoys me. I’m sure this will mark me out as some kind of weirdo, but I haven’t seen any of them! Comedy. There’s enough drama in my life already. Hunger Games. I love strong heroines. Lip-gloss all the way! Easy to put on and doesn’t clash with anything. Facebook – I love having more than 140 characters! I always plot, but I very rarely stick to it. Great questions! I wish I was reading a paperback by the ocean, with a coffee in hand... hee hee!